Tynemouth’s Surf Cafe is about to offer up something very special for Easter bank holiday weekend, as it hosts a three day music festival packed with lots of musical treats. 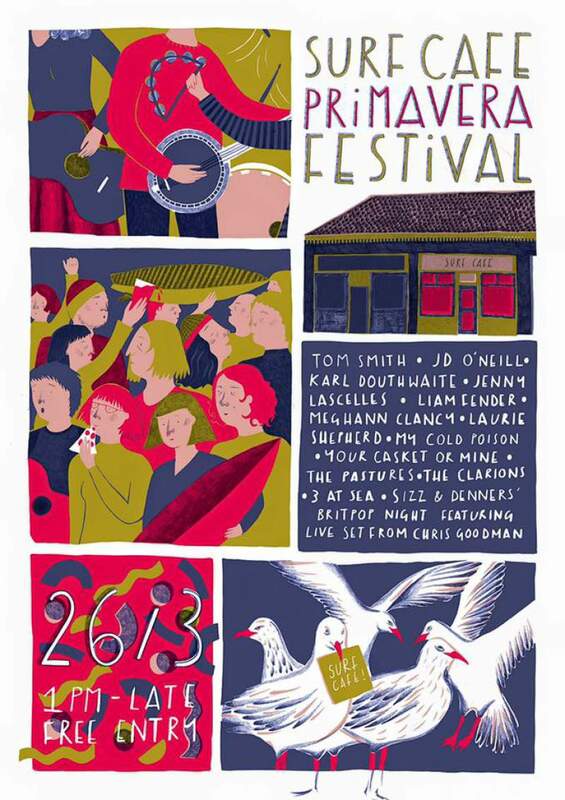 The Surf Cafe Primavera Festival sees 43 acts play one of the North East’s most wonderfully intimate independent venues from Saturday 26th until Monday 28th March. Starting at 1pm on the Saturday, musicians include Tom Smith, Meghann Clancy, Liam Fender and My Cold Poison, with the entertainment all rounded out with an evening celebrating the lasting legacy of Britpop music. The carefully chosen selection of acts who’ve helped The Surf Cafe become the venue it is continues on the Sunday with Hannah Brown, The Blytons, Eve Simpson, YUMA and Shinobi Fantobi. While drawing the festival to a close on Easter Monday are Savannah Betts, Immy Williams, ZuZu Cats and Them Things amongst others. Easter Weekend could rarely be spent in the company of better bands at a nicer, more welcoming venue; The Surf Cafe continues to impress as a home for hotly tipped and super talented musicians. The Surf Cafe Primavera Festival starts on Saturday 26th and runs until Monday 28th March.